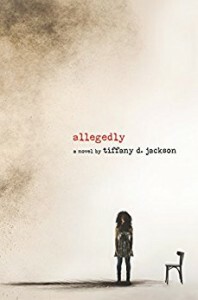 Allegedly is dark and gritty and its so good. Its definitely not my comfort zone in reading genre's but I really loved it. It is one of those books that really make you think. Mary killed her baby sister when she was nine years old, allegedly. That's what the media and the detectives spun it out to be, even though Mary never said she did it. But how do you convict a nine year old? Now sixteen, Mary has grown up in a rough life from foster home to foster home. She just wish the truth would come out. I think the ending was a tad bit disappointing. Though, albeit more realistic than not. I felt terrible for Mary throughout the entire book, the way her mother treats her, the way her foster house is. Its hard to read about, especially knowing that kids do go through the system like this. If you're looking for a realistic but dark story dealing with murder, foster homes and growing up in a tough life, Allegedly really nails it on the head.